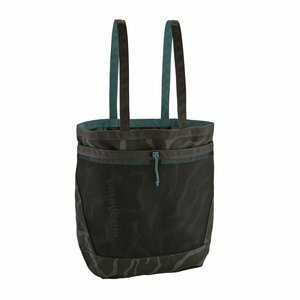 Patagonia Planing Tote 32L Tiger Tracks Camo: Ink Black, Designed to haul wet and dry gear at the same time and to keep them from ever meeting. 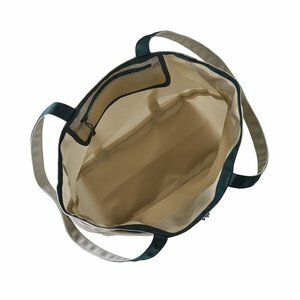 Sized for a full day at the beach and built for the long haul, the Planing Tote’s main compartment opens and closes quickly with a design we borrowed from traditional Japanese tool totes. 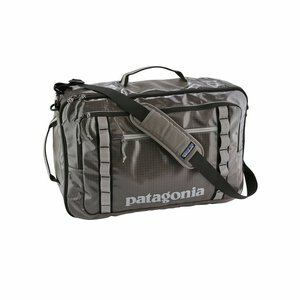 It holds your gear, lunch and whatever else and also includes an internal zip-closing pocket for your keys and wallet. Seam taping throughout keep water where it belongs and a slick, easily cleaned fabric coating makes tidying quick and easy. The external mesh pocket (designed to lay flat when not in use) carries your wet gear, closes with an easy-access cinch cord and has drain holes to keep water from pooling. 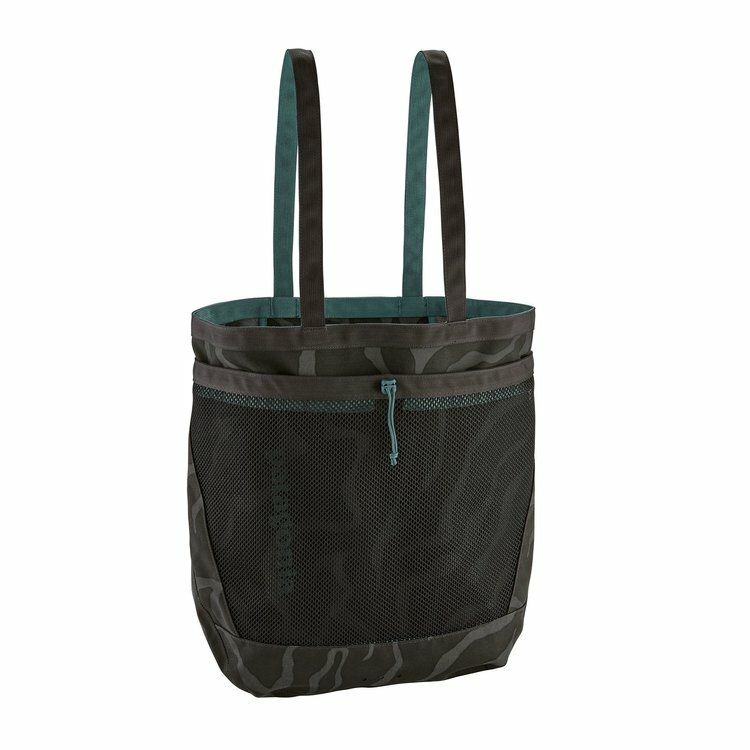 The adjustable grab handles feel soft in the hand and pull double duty as shoulder straps when you want to carry the tote as a backpack. Made of a tough yet limber 300-denier, 100% recycled polyester with a TPU-film laminate and 100% nylon mesh.